Join in the fun and excitement as we bring back the Pig Races to the 2018 Blaine Festival! 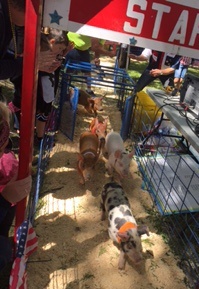 Here’s a clip of the 2017 Pig Races – in case you missed the fun! Thanks to Best Light Image for the great video clip. 2 MetroNorth Chamber Black #1inFun!